Our 3D Matterport scanning services sell properties! ErieMultimedia delivers 3D virtual tours to real estate agents, brokers, apartment complexes, commercial real estate, retail spaces and more. Our immersive virtual tours created in Erie Pennsylvania, can help bring customers though your door. 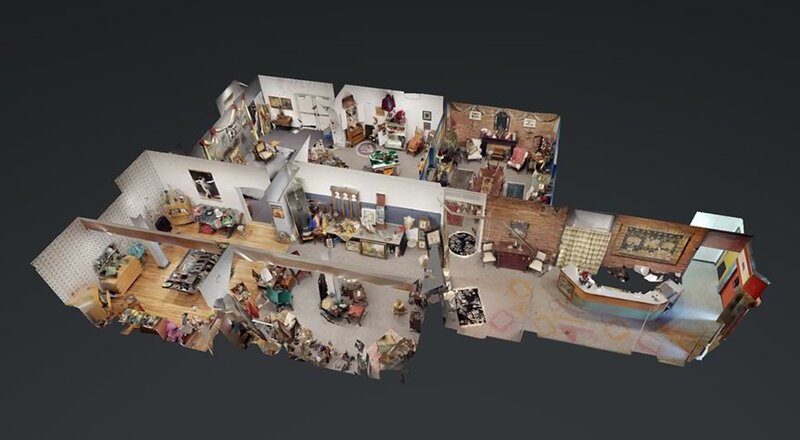 A Matterport 3d virtual tour gives you the ability to walk your potential customers and patrons through a virtual reality of the interior you are showcasing. You are able to display in intricate detail all of the in’s and out’s of a particular place. Would you like a Matterport 3D Scan estimate? You only have one first chance to engage with a buyer. Buyers tend to be intrinsically motivated by visuals. That’s why top real estate agents from the top brands in the country have started leveraging 3D floor plan views from Matterport. It’s an innovative, intuitive format that is engaging and detailed, satisfying the intellectual, creative, and emotional decision-making centers. Especially paired with descriptive copy, traditional 2D photography, and virtual or live showings, a 3D floor plan (or Dollhouse View) can give the prospect a real sense of how it would feel to inhabit the space. 3D is key to our perception of an environment. It enables us to separate objects visually, model the structure of our environment quickly, and navigate through cluttered spaces smoothly. A more dynamic, interactive version of a traditional blueprint, a 3D floor plan view enables agents to give prospective buyers a way to do all three of those things – anytime, anywhere. As with virtual tours in general, 3D Dollhouse views give a home buyer varied and better choices. They can explore the property in detail at their leisure, day or night, from wherever they are. They can go deep into the particulars of a property or room to get a visual and visceral sense of what it would be like to fill the home with their possessions. They can compare the size and layout of rooms to what they have and need so they know if the space is right for their growing family. They can consider whether the kitchen is sufficiently open to the rest of the living area. Whatever the home buyer’s design and lifestyle priorities may be, they’re best viewed and experienced. With a dynamic and engaging source of visual information, potential buyers can be seamlessly moved from idea to actual reality of inhabiting a home. For agents, this level of detail, emotional connection, and convenience are great selling points. Beyond those benefits, 3D floor plans offer a variety of distinct selling propositions. 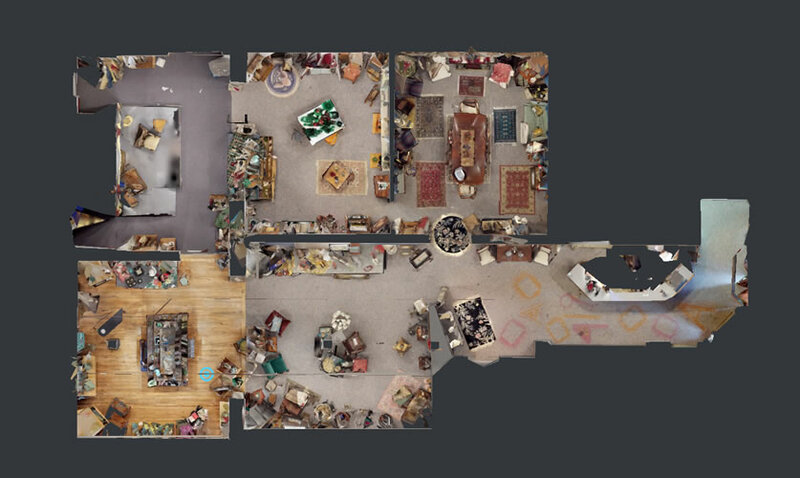 Improve efficiency: Matterport 3D floor plans are incredibly navigable, accurate (to 99%! ), and economically versatile. In fact, from almost any Matterport 3D floor plan, you can produce a professional-quality black-and-white 2D printed schematic version. Enhance visualization: 3D floor plan views can be particularly useful for townhouses or properties that have an architectural design that might be hard to capture well in traditional photos, descriptions, or brochures. Inspire and excite: 3D floor plan views offer design components with a sense of scale, accelerating intellectual and emotional inspirations that can help to drive sales. Visualize and plan: With a 3D floor plan view, a buyer can prepare more concretely for any changes or enhancements they may need or want to make to the property, helping with budgeting and building confidence around the purchase decision. For agents, a 3D Dollhouse is a differentiator. It’s the closest thing to a photorealistic 3D floor plan that you can give to your prospective homebuyer. More than a photo, which offers an aesthetic sense of the space, this is a tool that enhances that visualization with an understanding of the way rooms flow, how they could accommodate furniture, and what living life might be like in the home. 3D floor plans allow sellers and agents to take and show detailed measurements and designs, so buyers can visualize important details of their potential new home that will enable them to make a decision quickly and plan their move confidently. Do you have questions about our Matterport 3D Scanning capabilities? Sample 3D scans done in Erie, PA.